On a rainy Saturday we drove to York to spend the afternoon at the National Railway Museum. Husband is a bit of a train nerd, Son is moderately keen, I have no interest whatsoever. With that in mind, I wasn’t really expecting much from this visit. How wrong I was! I loved this museum – it was fascinating and we stayed all day until closing time. It is next door to the city’s railway station and super easy to find. 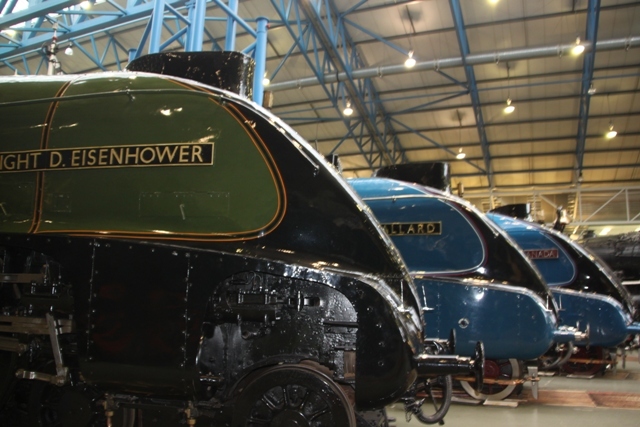 This is the world’s largest railway museum where Britain’s past railway glories are preserved. It is stuffed with fast, pretty, sturdy and innovative locomotives of all shapes and sizes. Open every day, entrance is free and they just ask for a donation to help with running costs. We were given a sheet at the entrance with details of special events going on that day – there were a lot. We only managed to squeeze in one thing on this list – a science talk for children at the Learning Platform. Using an “elephant launcher”, a flying Barbie and some balloons a very funny presenter explained the science behind how trains move in such an entertaining way that all members of our family were engrossed. There was plenty of audience participation – adults and children alike, this is not for those of a shy disposition. They have an outdoor playground and a little outdoor train, but due to the near monsoon conditions we had to give these a miss and go inside. 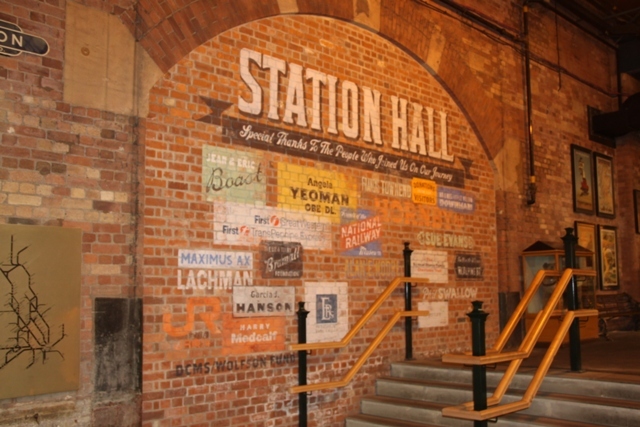 We found the Great Hall, a huge former engine shed, where we started at one end and worked our way round. 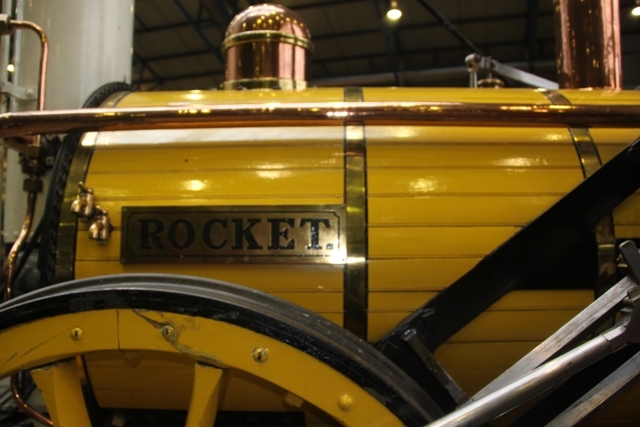 First up was a replica of Rocket, the famous train built by George Stephenson. Son enjoyed climbing up all the steps and peeking into the cabs of the various trains. We found Mallard, the world’s fastest steam locomotive which broke the record in 1938 and holds it to this day. This iconic train was next to two other sleek locomotives – one shipped from Canada and the other brought back from the USA. All three are beautifully restored to their former glory and make quite a sight. 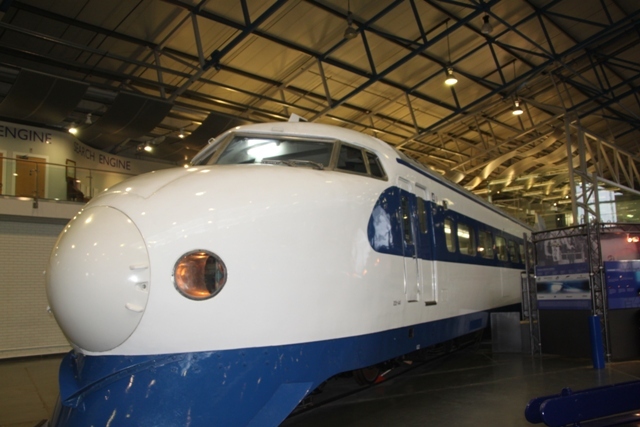 Son was very taken with the Japanese bullet train – apparently the only one outside Japan. We climbed on board and watched a video about this train and its history. 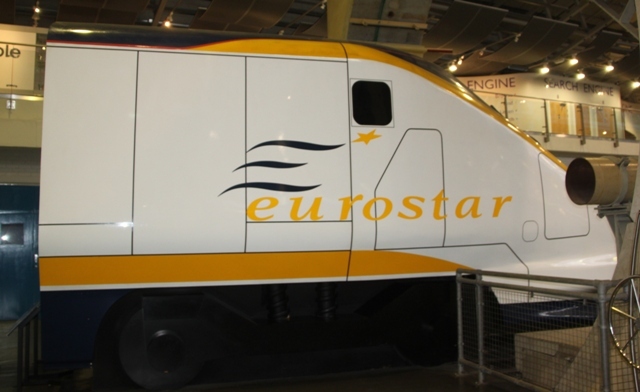 We found a Eurostar train and the locomotive from the Harry Potter movies amongst many others. 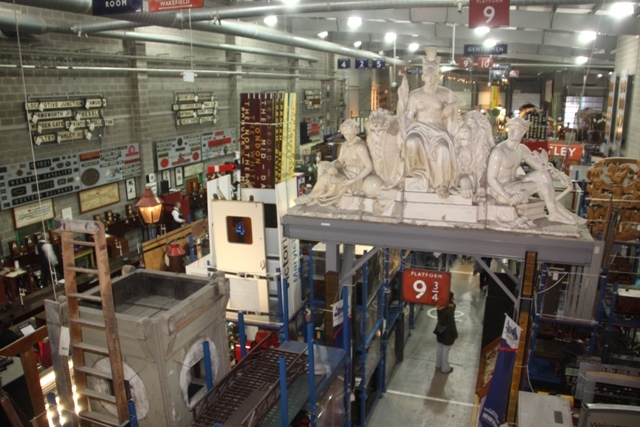 The Warehouse is their open storage system, you can stroll around this Aladdin’s cave, packed from floor to ceiling with everything and anything even remotely linked to railways. They have an area where you can look down on engineers in the workshop as well as heaps of hands-on activities for children. Son “built” the Flying Scotsman, had a go at signalling and we all went onto the viewing balcony to look down at the trains below going into York station. 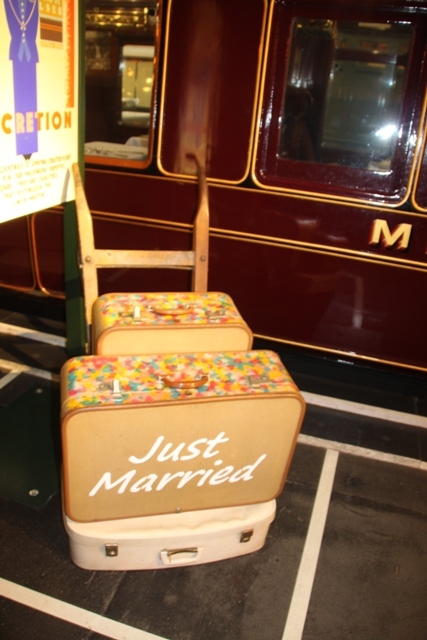 The royal “Palaces on Wheels,” a collection of royal trains was the absolute best bit in my opinion. We stood on the platform and peeked through the windows to see how the royals once travelled. Queen Adelaide’s saloon – so tiny – is the oldest preserved carriage in Europe. 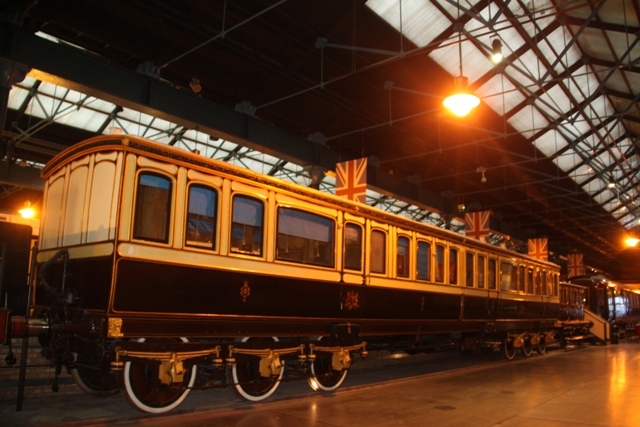 I loved Queen Victoria’s favourite carriage, made to her exact specifications it was opulent, lush and magnificent. 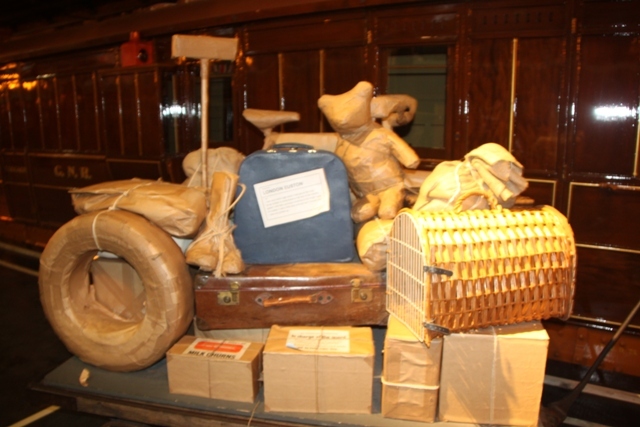 She used it often to travel to Scotland – pure, unadulterated luxury. 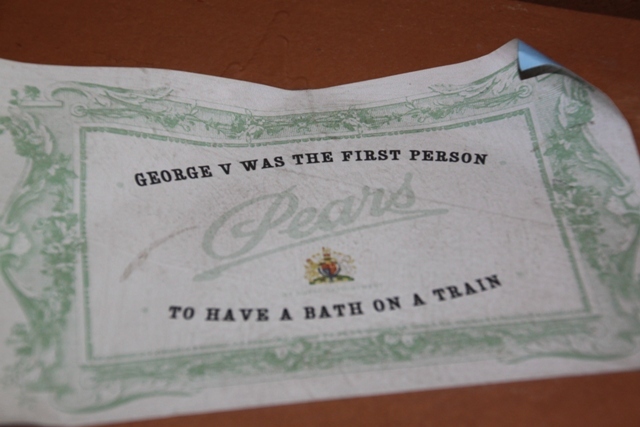 George V had a bath on his train, the first person to have this. Why would you want to? Right at the end was the Royal Saloon, built for George VI in 1941. It was plain, not at all extravagant but built in World War II, it had armour plated carriages designed for maximum protection while the Royals travelled up and down the country. All too soon (to my utter astonishment) it was closing time. We had the obligatory (for Son) visit to the gift shop, surprisingly full of interesting and quirky souvenirs before we left. I would never have believed it in advance, but we all had a great day out at this museum. I can definitely say it is fascinating and fun for train spotters and non enthusiasts alike. How cool! And great pictures! Thank you – it was a great day out! Funny…. I wouldn’t ever have considered going…. But now I would! Thanks ! I know exactly what you mean. I wasn’t keen on going, but very glad I did! I went to the science museum in London the other day… Have you ever been? I could have moved in ! Yes, we went there last year – love it too! Also the Natural History museum….. we are lucky here, there are so many (free) great places to visit! 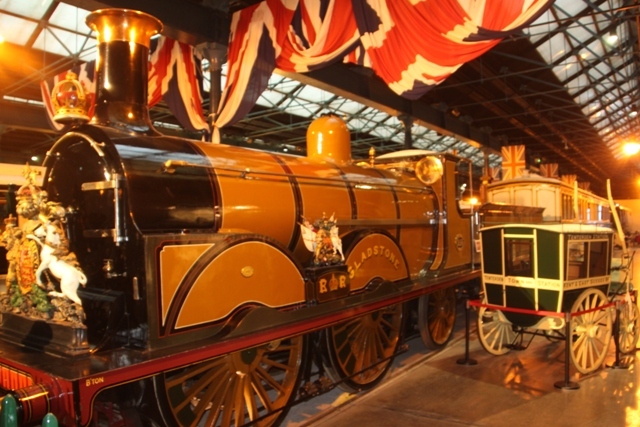 I knew there was a railway museum in York, didn’t realise it was the world’s biggest. But look at all the stuff they have there! I did too (and my son!!). Ooh! I’ve been here! Ages and ages ago – but I remember loving it. Thanks for the trip down memory lane. We loved it too – I was amazed how fascinating trains could be – never would have believed it before this visit!! Great pictures. Tell your son that those Bullet Trains go super duper fast. The country side blurs by. We had the pleasure of travelling on them while we lived in Japan. Thanks Shelley, can imagine it must be amazing to actually travel in one. Would love to do that….. maybe one day. As a happy nerd I have to say that railways are a part of life, then and now for all of us. They did so much to shape Victorian Britain. 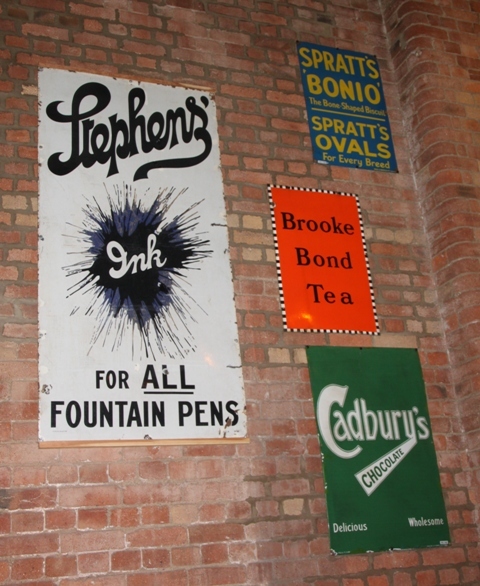 And do you know, I have paid one very brief visit to the Railway Museum back in the 1980s. I’m staying near Hull later this year – maybe I’ll get to York again. Lovely article and thanks for sharing the fact that railways aren’t just for train spotters. SEE—-A TRAIN MUSEUM ISN’T NECESSARILY JUST FOR THE NUTS AMONG US!!!!! It was a great place – not nuts and non nuts alike!!! Yes it sure is…. can’t pronounce it properly though! This sounds fantastic, especially seeing the Royal Family’s train cars.I will put it on the list if we are England. My boys love trains! If they like trains, they would love it here! 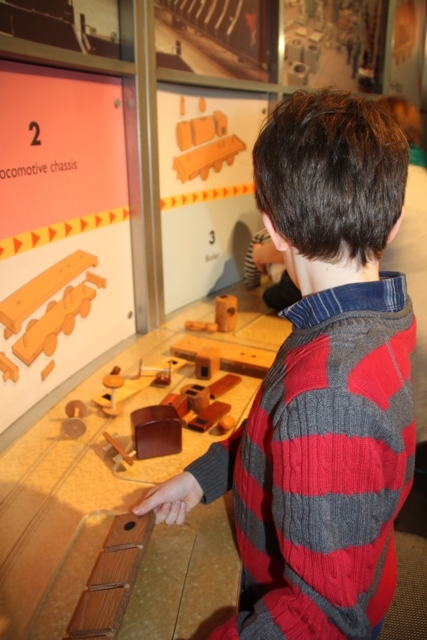 My son had a great time – I can probably take or leave trains but I did love it as well. 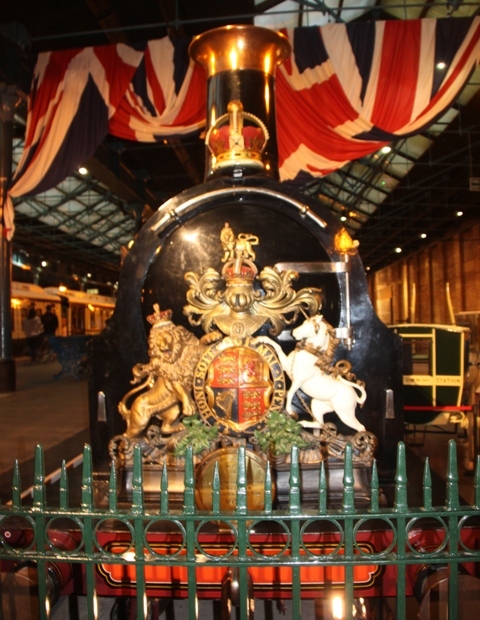 Also the Royal trains – that was fascinating. I love trains. Love this post too. I went thinking trains were not “my thing”, how wrong I was! Now I love them too!! What an interesting place to visit! There’s something very nostalgic about old trains. I can just remember the last of the steam trains running in England and although I enjoy traveling into downtown Chicago on the Metra, it just isn’t the same. We had such a great day out here and you’re right old trains really have something special about them. The setting here too with the old fashioned platforms made it all very atmospheric. Have ridden into downtown Chicago too – we did enjoy this trip too though! love the thought of a bath on the train ;-). Must visit soon. 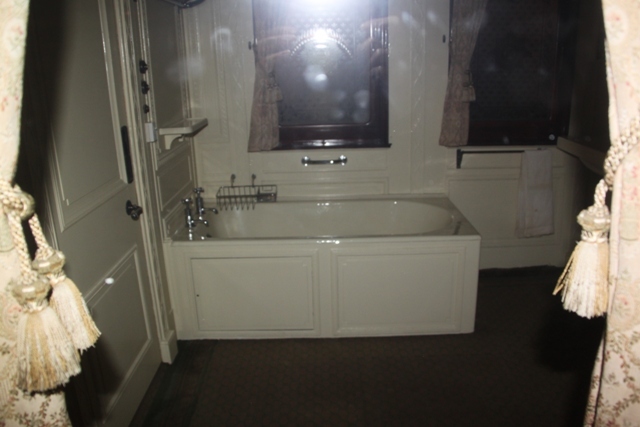 Definitely unusual – although I’m not too sure I’d want to take a bath on a train – well not a moving one anyway!! 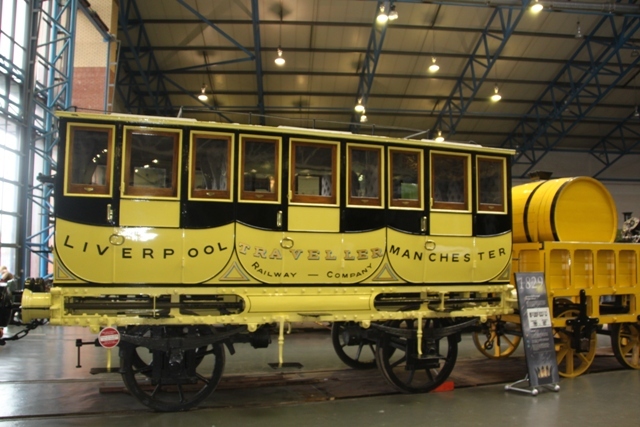 I’ve visited the Railway Museum many times over the years and never get bored there’s something for everyone here! 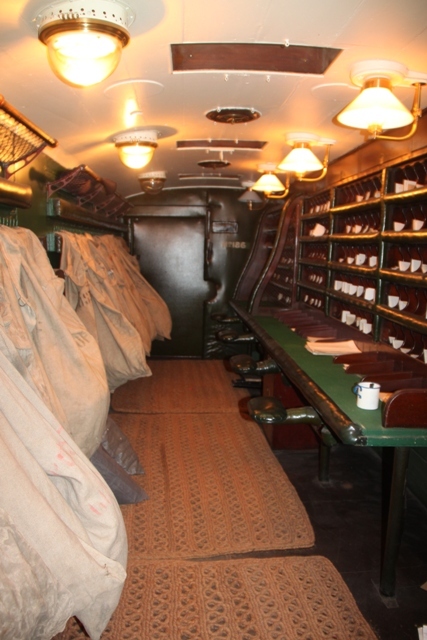 Personally I just love the old trains – it would have been so romantic travelling in them I always think! The old trains were my favourite too Rosemary – I just loved even the atmosphere around them in the museum, so different to a train journey today!! Life must have been so different back then – a totally different pace of life. How lovely it must have been – I could quite get used to a life of leisurely train travel on steam trains!! Interesting. My son would love to see these trains! 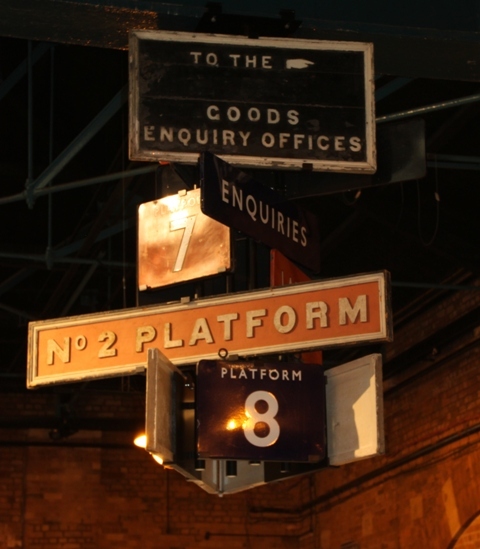 It’s a wonderful museum – something for everyone whether you are into trains or not! !